Everyone loves Salted Caramel Apples, right? Well what about skipping the sugar part and just doing some salted apples? Sound weird? Try it!.. This is a thirty second, two ingredient recipe. So you have no excuse not to try it. You will be shocked at how delicious this is. Why is this the perfect after-work/after-school snack? ...it is by the way. After a long day of work, unless you have been chugging Evian every half-hour, you are most likely a bit dehydrated. Salt, is necessary for hydration. This quick snack will give you a delicious crunch of hydrating sweet apples, and a salty boost you may be craving. Bag the chips and try this snack. *salt should be thick crumbly, flaky bits. Traditional fine table salt is not the best option. 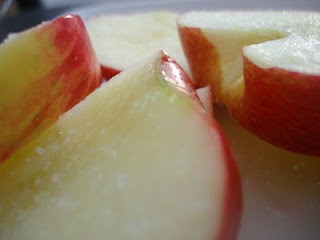 Assembly: Thickly slice apples into round slices. 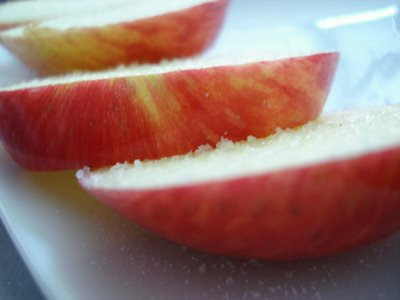 Sprinkle or grind salt over slices. Salted apples. Sounds simple, but very crave-worthy. This recipe can also be modified to add a variety of fruit slices. Other options: Pears, grapefruit, oranges, strawberries, grapes, pineapple, papaya, mango, or kiwi. For a party, set out a giant platter of fruit kabobs sprinkled with lemon juice and coarsely ground salt. Your guests will be quite pleased with this healthy yet interestingly addictive option. 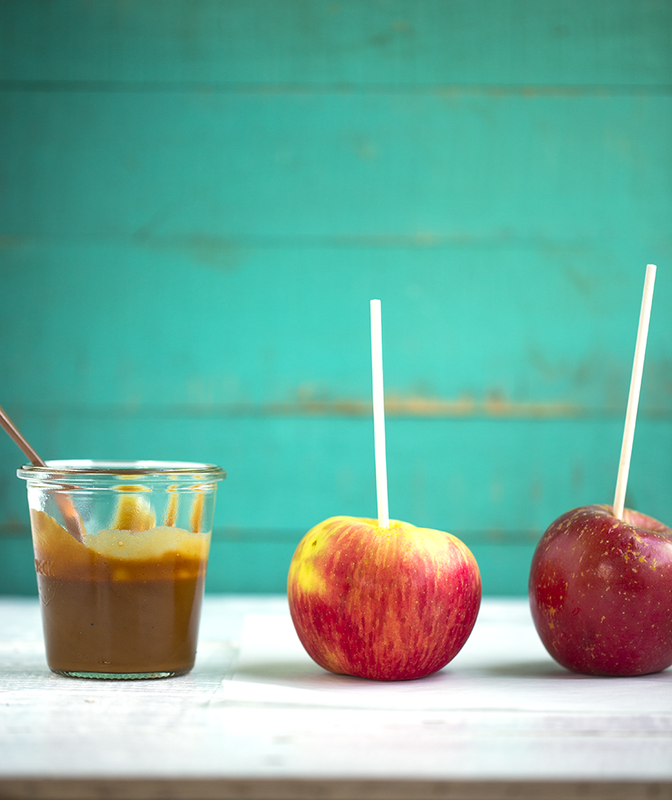 Love apples: Check out all these Apple Recipes here on the Blog!